The 5th U.S. Circuit Court of Appeals lifted an injunction forbidding Texas from stripping Planned Parenthood of Medicaid funds. The decision is also significant for its harsh criticism of Planned Parenthood, the nation’s largest abortion provider. The case will return to a federal trial court, where Planned Parenthood will have another chance to secure an injunction against Texas. The case arose after a pro-life group called the Center for Medical Progress (CMP) released videos purporting to show Planned Parenthood violating medical and ethical standards codified in federal law and state regulations. Texas terminated its Medicaid provider agreement with Planned Parenthood shortly thereafter, citing infractions documented in the videos. The most noteworthy reprimand in the decision is a graphic depiction of post-abortion fetal remains taken from a CMP video. A small arm is visible in the picture. Texas cited the manner in which Planned Parenthood disposes of fetal remains as one reason for terminating its Medicaid eligibility. In another instance, the decision accuses Planned Parenthood of breaking federal law banning partial birth abortions. The ruling highlights a CMP video in which an administrator called Dr. Tram Nguyen said doctors at one facility could evacuate an intact fetus — thereby breaking federal law — provided they sign a form that they did not “intend” to do so. That procedure allows researchers to recover organs like the thymus or the liver. Later in the opinion, the panel chides Planned Parenthood for failing to address Nguyen’s comments in court filings. Finally the panel accused the judiciary of politicking on abortion cases. 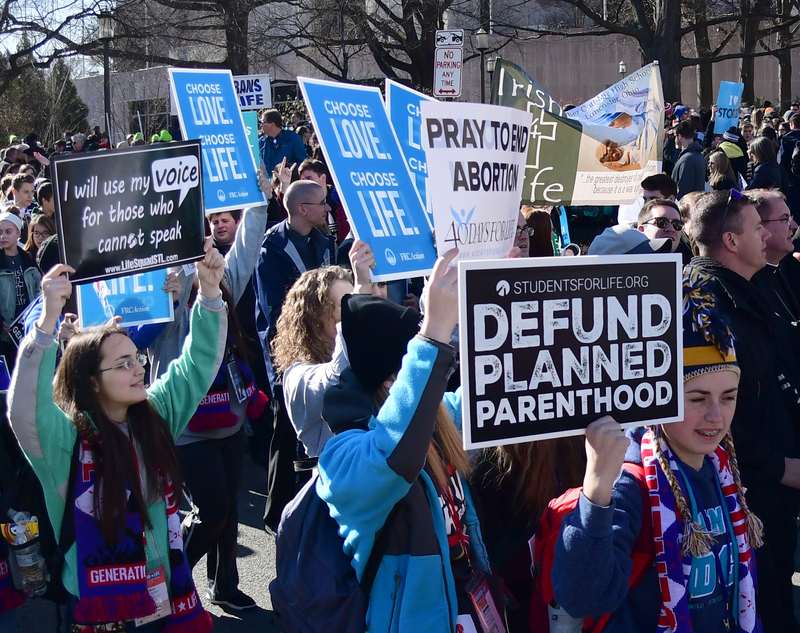 Ordinarily, providers like Planned Parenthood must challenge Medicaid termination decisions in an administrative forum and state court before seeking a federal court’s intervention. By allowing Planned Parenthood to skip directly to federal court — as the trial court did here — the 5th Circuit said judges are engaging in ideological favoritism. “Had [Texas] terminated the Medicaid provider agreements of any other type of health care provider, the incongruity of allowing that provider to use patient litigation proxies to avoid administrative review and [reach] federal court would be obvious and unacceptable,” the ruling reads. The question before the 5th Circuit did not relate to abortion directly: After Texas disqualified Planned Parenthood from Medicaid eligibility, the abortion provider sued, claiming the federal Medicaid statute allowed it to do so. A federal district judge agreed and allowed the lawsuit to proceed. The 5th Circuit had to decide whether that decision was correct. The federal appeals courts are divided over the answer to that question. Though the Supreme Court generally intervenes when the circuits disagree over the same question of law, the justices denied review in a related controversy from Kansas in December 2018, drawing a vigorous dissent from Justices Clarence Thomas, Samuel Alito and Neil Gorsuch that accused the Court of playing politics. The 5th Circuit’s Thursday decision concluded that it is bound by precedent to find that Planned Parenthood can proceed with its lawsuit in federal court under the Medicaid statute, though Jones wrote a concurrence to her own majority opinion urging the full 5th Circuit to revisit that question. However, the 5th Circuit gave Texas a partial victory, finding that the trial court assessed Planned Parenthood’s request for an injunction under the wrong standard. The panel lifted the injunction, and ordered the lower court judge to reconsider Planned Parenthood’s request under a different standard which is more accommodating of Texas.